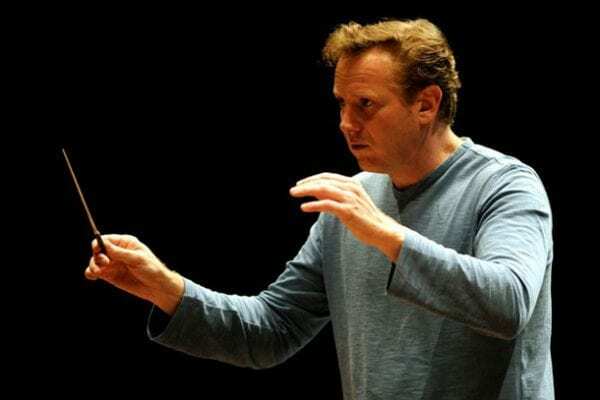 In my review of the Australian World Orchestra’s concert in the Sydney Opera House last Wednesday, I named the past conductors of the orchestra and omitted Alexander Briger who, in fact, first conducted it in 2011…writes Fraser Beath McEwing. The AWO largely exists because Alexander Briger worked tirelessly to turn a fanciful possibility into reality. With the help of oboist Nick Deutsch he searched out Australian musicians playing in leading orchestras around the world and brought them home to make inspirational music on Australian soil. Briger’s achievement is so remarkable that it can overshadow his additional role as a conductor – which it did with me in Wednesday’s review. I rank him highly, and he may well eventually attain the celebrity of a Mehta or Muti. Alexander Briger conducted the AWO also in 2016.